● Three sample-based oscillators with control based on circuit bending principles. ● Three Low / High / Band - pass filters and two range delay for each oscillator. 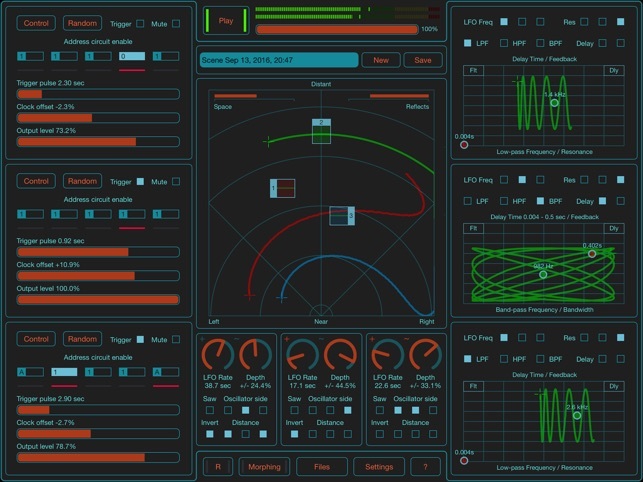 ● Spatial mixer / reverb with side and distance for each sound source. ● Three low frequency oscillators for automation mixer and filters. 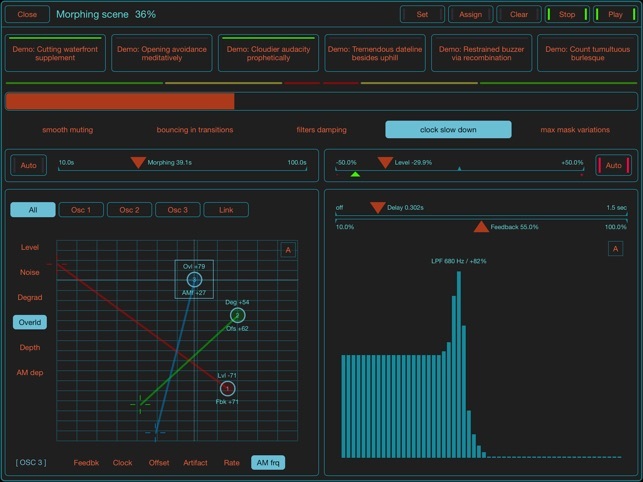 ● Possibility of generating parameters for each oscillator automatically. 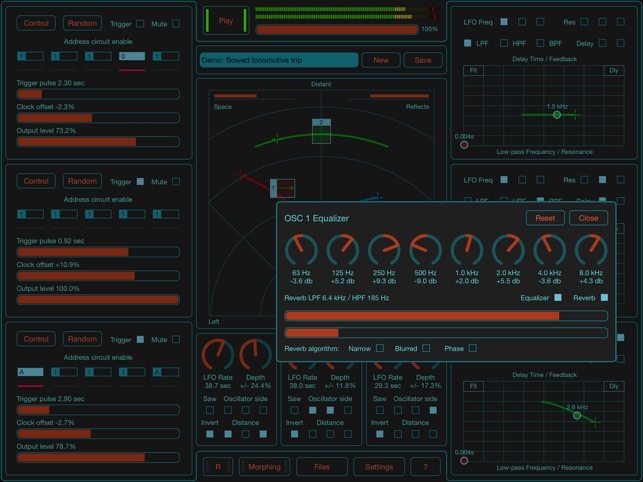 ● Scenes for storing all parameters of oscillators, filters and mixer. ● Morphing with smooth switching between scenes and additional effects in real-time. ● Built-in library of natural samples grouped by categories. 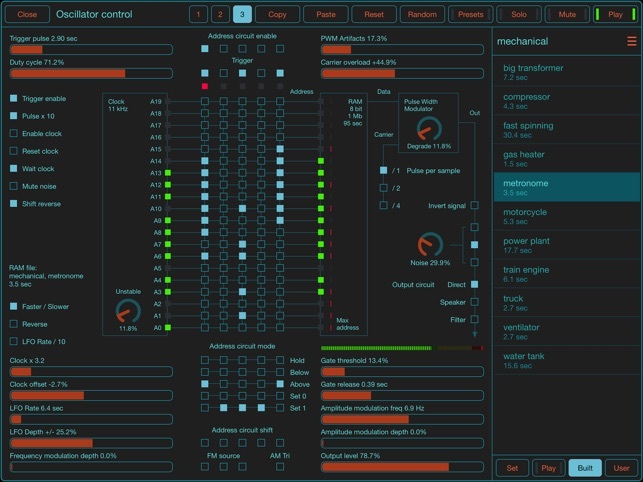 ● Set of ready-to-use presets for oscillators. 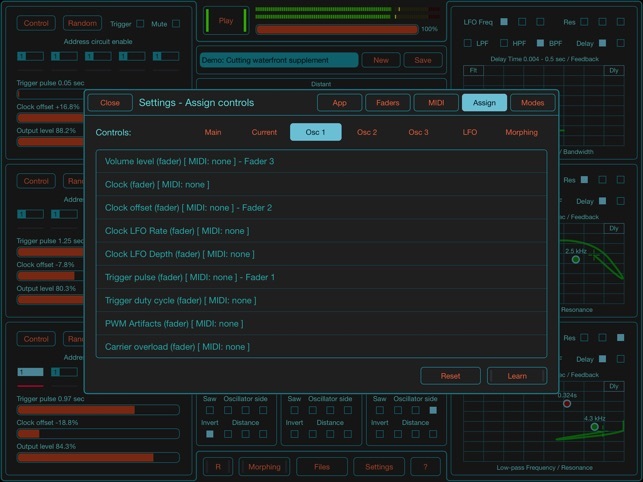 ● Advanced control panel for all faders and rotary knobs with large controls. ● Individual equalizer and reverb options for each sound source in the spatial mixer. ● Complete MIDI control for all faders, knobs and most other elements. 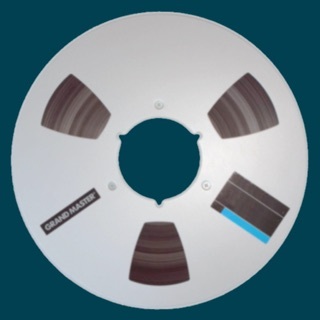 ● Uploading samples through Dropbox, Web access, clipboard and from other apps. ● Different color schemes available for the user interface. ● Detailed application description (also in signle PDF on application site). 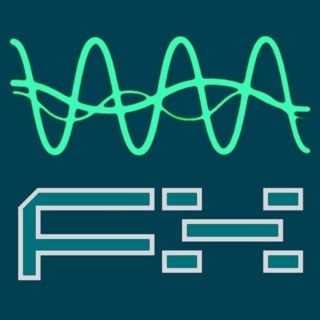 ● Supports Audiobus 3 with "State Saving" and MIDI features. ● Added new oscillators presets. ● Added support of Audiobus 3. ● Added support of Audiobus MIDI. ● Some improvements of user interface. ● Displaying value hint when use knobs and faders. ● Faders and knobs panels closes by tap outside. ● Oscillators presets list divided by groups. ● Fixed problem with reverb on / off option. ● Fixed problem with start on minimal output level of oscillators. ● Fixed problem with copy / paste oscillator parameters. ● Several others minor bugs have been fixed. The possibilities with this app seem endless. I've tried dozens and dozens of sound makers, synths, sequencers, etc - they all felt like variations on the same set of features. This is the first app I've tried that really made new sounds in new ways. Been waiting to play with this and it's very very cool. The only thing that can make this better is a little internal sampling utility to capture sounds right in instead of importing. 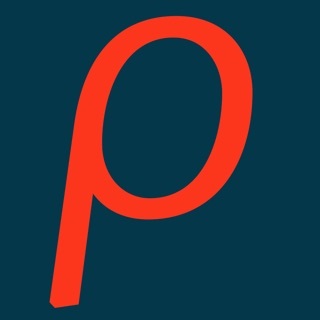 Great Software!! Buy it.